The next meeting of the Subcommittee on Human Rights will take place on Monday 9 September 2019 from 15.00 to 18.30 (tbc). Representatives of NGOs as well as other organisations are requested to accede to the EU Transparency Register and follow the procedures therein for access to the European Parliament. The Fact Sheets on the EU provide an overview of European integration and of Parliament's contribution to that process. They present a brief overview of the EU's institutions and policies, and of Parliament's role in their development. Available in 23 languages, they cover five main areas: how the EU works; economy, science and quality of life; cohesion, growth and jobs; fundamental rights, security and justice; and the EU's external relations. 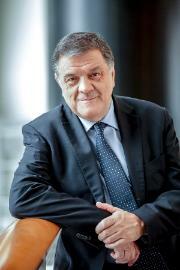 After his meeting with Gustavo Petro, the leader of the political opposition in Colombia, on Thursday, EP Subcommittee on Human Rights (DROI) Chair Antonio Panzeri stated: “The increase in incidents against human rights defenders and political opposition representatives in Colombia, who face all kinds of restrictions in their daily work, is alarming. This situation seriously endangers the peace agreement, including the implementation of the special jurisdiction for peace (JEP in Spanish). I support Gustavo Petro's call to protect human rights defenders and opposition leaders in a more efficient way. I urge the Colombian authorities to implement the Inter-American Commission on Human Rights' recommendations on Colombia." The Inter-American Commission on Human Rights (IACHR) filed an application before the Inter-American Court of Human Rights (I/A Court H.R.) in Case 11,227, Officials and members of the Patriotic Union (Unión Patriótica, UP by its Spanish acronym), with regard to Colombia. The civil society organisation Somos Defensores, in 2018, registered 805 attacks and 155 assassinations of social leaders and human rights defenders in Colombia. This is the highest figure ever registered in the history of the information system. During the first semester of 2019, there were over 29 assassinations of social leaders documented in the country. 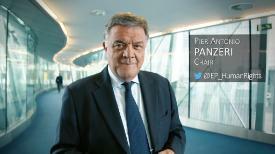 Due to the precarious humanitarian situation for the Yazidi community, DROI Chair Antonio Panzeri issued a statement calling for full respect of their rights and freedoms. “On 2 April 2019, I had the opportunity to meet a delegation from the Central Council of Yazidis in Germany, invited by the Committee on Development to address the situation of Yazidis from a human rights and humanitarian point of view. The delegation gave me a detailed overview of the current issues and key challenges facing the Yazidi community. Only through full recognition of and respect for its rights and freedoms will the Yazidi community be protected. Human Rights are not an abstract concept. In this specific case, human rights are the only way of ensuring that this community is treated with respect and dignity. In addition, it is indispensable within the partnership agreements between the EU and countries where Yazidis live, that we also guarantee that economic benefits go directly to this community. The European Parliament and most specifically the Subcommittee on Human Rights have been paying close attention to the Yazidis' situation in Iraq over the last few years. In fact, two Yazidi women, Nadia Murad Basee Taha and Lamya Haji Bashar, both survivors of sexual enslavement by the Islamic State, were awarded the 2016 Sakharov Prize for Freedom of Thought", said Mr Panzeri in his statement. Welkom bij de Subcommissie mensenrechten (DROI) van het Europees Parlement. De subcommissie houdt zich bezig met kwesties op het gebied van de mensenrechten, de bescherming van minderheden en de bevordering van democratische waarden in derde landen. DROI stelt zich ten doel ervoor te zorgen dat mensenrechten binnen het Europees buitenlands beleid een prominente plaats innemen en dat de bescherming van mensenrechten in alle beleidsgebieden wordt geïntegreerd. Een belangrijke activiteit van onze subcommissie is de jaarlijkse toekenning van de Sacharovprijs voor de vrijheid van denken aan personen of organisaties die zich inzetten voor de mensenrechten. Daarnaast doen wij ons best om, als er ergens in de wereld mensenrechten worden geschonden, daar zo snel mogelijk op te reageren en voor de slachtoffers op te komen. Bij al deze taken maken wij dankbaar gebruik van de input en actuele informatie die wij krijgen van mensenrechtenactivisten, burgers en ngo's. Onze vergaderingen zijn live via internet te volgen. Momenteel zijn (ontwerp)verslagen, amendementen en adviezen van DROI uitsluitend te raadplegen op de website van de Commissie buitenlandse zaken (AFET), omdat in die commissie de eindstemming plaatsvindt. Volg ons op Facebook en Twitter @EP_HumanRights.